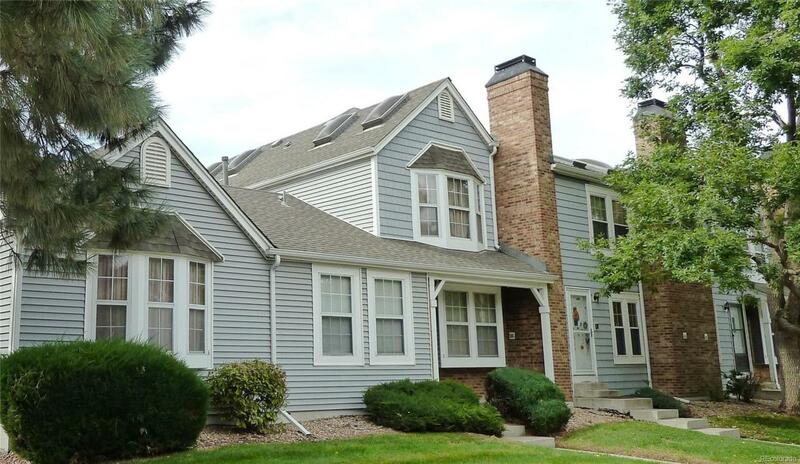 2 bedroom, 1-1/2 bathroom condo - both bedrooms have vaulted ceilings & skylights. Fenced, concrete patio with gate opens to greenbelt & trails. Kitchen with large breakfast bar, newer appliances and plenty of room for your dining table. Great room has a wood-burning fireplace. The main level has a half bathroom. HOA takes care of pretty much everything outside. 2 reserved parking spaces in front. Close to the Thornton rec center & parks. Shopping & restaurants are nearby. Light rail is coming soon! Offered by David A Pickett, Realtor.